LG is preparing to show off the latest in display technologies at CES 2013 next month in Las Vegas. It seems that LG doesn't want to play around with display technologies and plans on showing off some mighty impressive displays in Las Vegas at CES 2013. Admit it, who doesn't want a 4K2K monitor? And just in case HD televisions aren't enough for you, then what about Ultra High Definition TV sets? "We are relentlessly pursuing two key drivers that represent the future of the display industry, resolution and design," said Dr. Sang-Beom Han, President and CEO of LG Display. "The products exhibited at CES 2013 reaffirm both our reputation as the field's leading innovator, as well as ability to deliver market winning solutions to customers around the world." Seoul, Korea (December 27, 2012) – LG Display [NYSE: LPL, KRX: 034220], a leading manufacturer of thin-film transistor liquid crystal display, will showcase the latest innovations in display technology resolution and design at a private booth during the week of CES 2013. On exhibit will be the first lineup of Ultra High Definition TV displays, as well as world's highest resolution 4K2K monitor. "We are relentlessly pursuing two key drivers that represent the future of the display industry, resolution and design," said Dr. Sang-Beom Han, President and CEO of LG Display. "The products exhibited at CES 2013 reaffirm both our reputation as the field's leading innovator, as well as ability to deliver market winning solutions to customers around the world." Also on display will be a 5.5-inch smartphone with a whopping 403 pixels per inch (ppi), and a 7-inch tablet with a resolution of 1920×1200 for 324 ppi. It sounds like displays are where it's going to be at this year for CES. 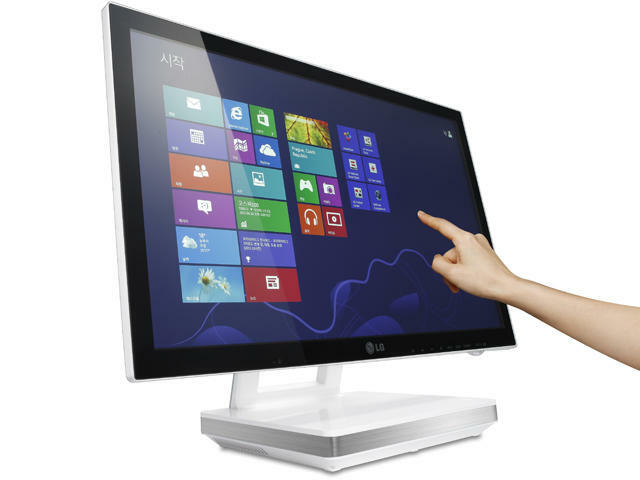 LG Display at CES 2013 will focus on the themes of high picture quality resolution and design minimalism. Among other innovative products, LG Display will showcase the lineup of Ultra High Definition (UHD) panels, a technology widely viewed as the future of TV, in 55-, 65- and 84-inch sizes. At 3840×2160, UHD utilizes an incredible 8 million pixels or four times the resolution of existing Full HD. With 55- and 65-inch sizes added to 84-inch as part of its UHD lineup, LG Display is poised to dominate the emerging UHD premium display market. Also integrated across its range of UHD TV displays is the company's acclaimed FPR (Film Patterned Retarder) 3D technology for a truly peerless offering. LG Display's advancements are not limited to TV, but extend across the IT (Information Technology) sector. In addition to UHD TV displays, the company will unveil a 30-inch 4K2K monitor, which at 4096×2160, is the highest resolution computer monitor to date. With unparalleled viewing clarity, the monitor is anticipated to be utilized by professionals in fields like medicine, design, and more. In line with its market leading AH-IPS (Advanced High Performance In-Plane Switching) technology for smartphones, tablets, and monitors, LG Display will exhibit a Full HD 5.5-inch smartphone display with 403 ppi (Pixel Per Inch), as well as 7-inch tablet display with resolution of 1920×1200 and 324 ppi. A 12.9-inch laptop panel featuring 2560×1700 (QSXGA) resolution, previously realized in only 20-inch and over premium monitors, will also be shown. Leading the future of display technology design, visitors will experience products from LG Display's Narrow Bezel lineup including the next generation in the popular "Neo-Blade Series," a 23.8-inch monitor panel with an ultra narrow bezel, as well as a 13.3-inch laptop panel with a narrower than 2 mm bezel. Also featured will be a 4.7-inch mobile display with approximately 1mm bezel, providing a solution for users to comfortably grip a large-sized phone in one hand. Last year's show stealing 55-inch WRGB OLED will also be back at CES 2013 better than ever. LG Display has further enhanced its groundbreaking OLED TV not only in technology, but also in design. Weighing just 3.5kg, 1/5th that of a typical LCD display, and impossibly thin at 4mm, LG Display is truly laying the prologue for the new OLED TV era. Finally, LG Display will highlight its advancements in the public display field with products including the world's first 84-inch UHD Interactive Whiteboard for classrooms, a futuristic 47-inch transparent display, a 47-inch high brightness display perfect for outdoor signage use, and breathtaking video wall composed of nine 55-inch FPR 3D panels.